Let the fanfare begin and the age old question be asked: should Opening Day be a national holiday? While that question gets debated, Opening Day 2019 is Thursday although the Seattle Mariners have already had their first game this past week in Japan. That game proved to be a monumental occasion as future Hall of Famer Ichiro Suzuki announced he would retire from Major League Baseball at the conclusion of the game. Manager Scott Servais pulled Ichiro mid-game and he was met with a chorus of ... Más informaciones applause and congratulations from both teams. Does he go down as the greatest hitter of his generation and where does he rank all-time as a hitter? 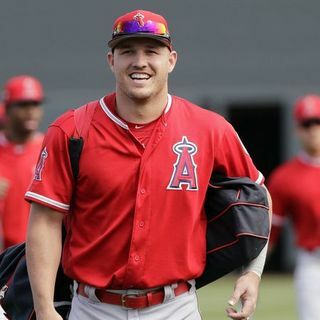 Plus, apparently it was pay week as Paul Goldschmidt, Justin Verlander, Alex Bregman, Blake Snell, and Mike Trout were given contract extensions. Were all these signings good choices by each respective team? Finally, we break down the NL West as we conclude our divisional breakdowns. Graham and Chris get into a good, old fashioned argument over this one. Let us know which side you take or if you think both guys have lost their minds. All that and more this week on Out of Left Field.